Comment: Install doggie door into wall. Cannot go into window. Comment: crown molding for two bedrooms and finish a living room. Comment: I have exterior damage to several areas around the exterior of my house and have been trying to get something done since early July. I thought I had someone, but after not showing up twice, as we had agreed, he quit. Then, two others simply won't get back to me like they said they would. I need someone dependable, fair and competent. Please contact me if you are able to do the job, licensed and have the requirements I've listed. Thanks. Comment: The side springs are broken. Crystal River Carpenters are rated 4.42 out of 5 based on 128 reviews of 10 pros. 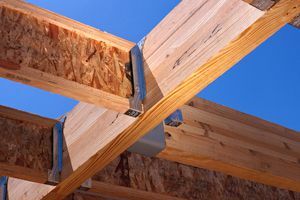 Not Looking for Carpenters Contractors in Crystal River, FL?